On August 2016, Samsung unveiled the Galaxy Note 7 smartphone to the world at a press conference in New York City. Initially, the device received rave reviews, but soon after, as you probably know by now, those devices started bursting into flames. It was a terrible blow to Samsung’s bottom line, and the company knew it needed to act swiftly if the company had any hopes of stopping the potential damage this would cause to its reputation. 2017 brings a new batch of Samsung flagship devices, including the Galaxy S8, which according to the latest rumors, will make its debut on March 29. Recently, Samsung explained the cause of the Galaxy Note 7 fires and the new testing it has put in place to prevent it from ever happening again. Samsung published its new 8-Point Battery Safety Check online, so customers can see the new protocols. We break them down one by one below. 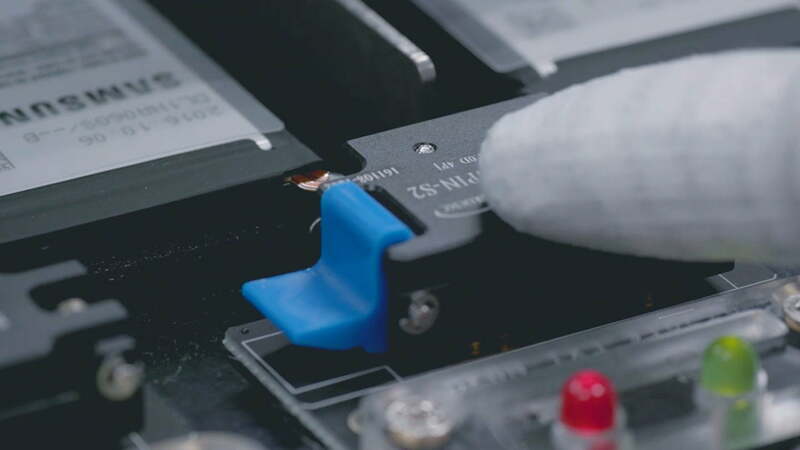 This test expands and enhances battery testing by putting the batteries through overcharging tests, extreme temperature stress tests, and even puncture tests. 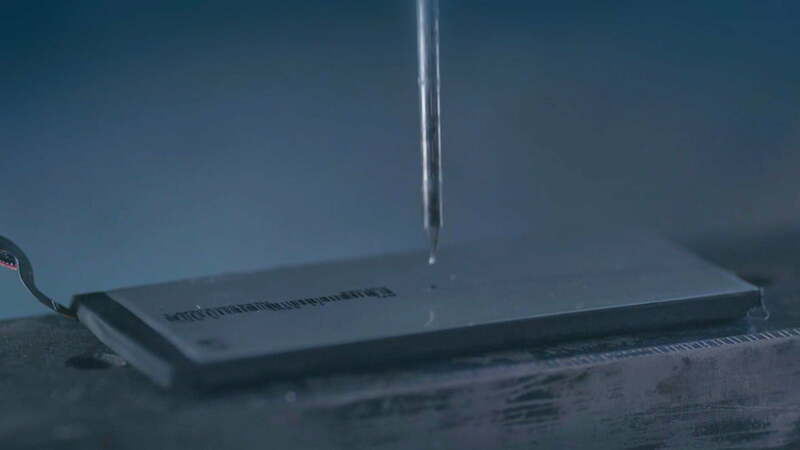 Samsung enhanced its durability tests, and it will perform these tests with increased frequency. Companies have used nail penetration tests before to assess the safety of lithium-ion batteries. Nail penetration tests simulate an internal short that involves puncturing a battery at a certain speed. If the battery does not smoke or catch fire, then the battery passes the test. This test is useful to gather data about thermal runaway under controlled conditions. It does not necessarily represent real world internal shorts. 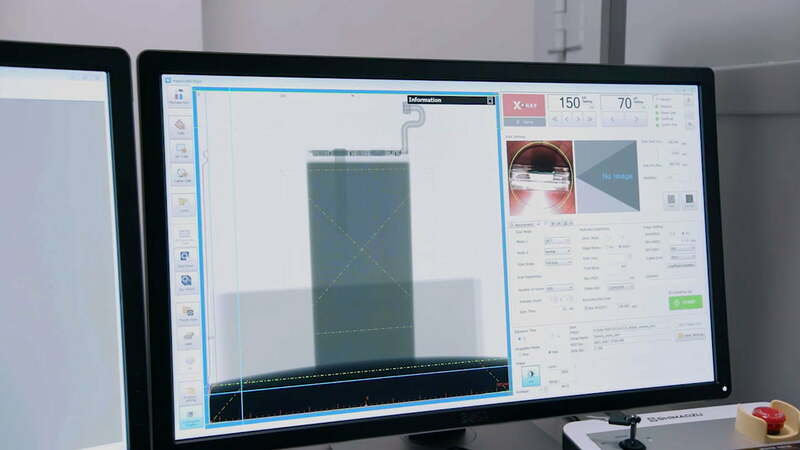 You cannot leave everything to machines, and in this test, Samsung will visually inspect and compare the new batteries with good samples that meet a set of standardized guidelines and criteria. Samsung has done visual inspections before. It has enhanced these inspections by increasing the standard, and by making sure that it performs the inspections at every stage, starting with the components, and all throughout the production. We do not have any specific information regarding which are the guidelines that Samsung is following for their visual inspections. Samsung enhanced these established guidelines that may include inspection of the positive and negative terminals, weight, and size of the battery. This test will allow Samsung to see any of the abnormalities, including those found in the Note 7 batteries. Samsung will use X-Ray machines to see inside the battery. This will be very important in detecting problems like electrodes touching the phone’s housing, which was one of the issues found to cause fires on the Galaxy Note 7. Samsung has increased the standard of the X-Ray tests. Both Samsung and the supplier will conduct X-Ray tests on the batteries, and it will conduct the tests on samples of the batteries themselves as well as on the assembled device. One of the worst issues found in the Note 7’s battery was a pouch in the battery that the supplier had created. This pouch did not allow enough space for the battery to contract and expand as it went through its charging and discharging cycles. In order for Samsung to find these sorts of issues, it would have to perform an X-Ray test. 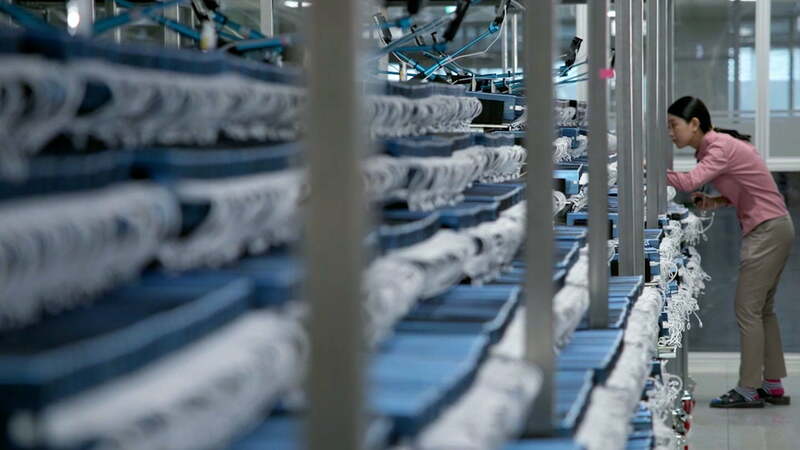 All batteries will undergo a large-scale charging and discharging test. Samsung started conducting this test with the original Note 7 fire investigation. Samsung added this new test to the manufacturing process, and it will perform the test on the fully assembled unit. The number of units Samsung will put through these charge/discharge tests will be up to 100,000 units, which is a massive amount of devices. Samsung found that because some of the batteries did not have enough room to expand and contract, they could not go through a normal charge and discharge cycle. All of these issues together caused the negative and positive electrodes to touch thereby causing a short circuit. Charging and discharging a large sample of smartphones will definitely help catch any problems. This test detects any leakage of TVOC, which stands for Total Volatile Organic Compound. Battery manufacturers use Volatile Organic Compounds (VOCs) throughout their manufacturing process. The TVOC test is another brand new test. 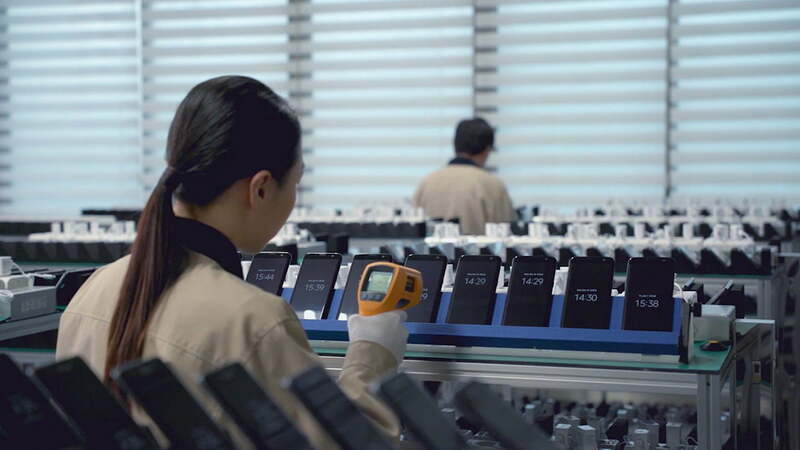 Samsung is testing every single device throughout the entire production process. These Volatile Organic Compounds used to manufacture batteries are often toxic, and a constant check of any sort of leakage from the manufacturing of the battery to the completed device is certainly a welcomed change. Samsung and the supplier are committed to check the quality of components like the battery tab welding and the insulation tape. The insulation tape within the battery was missing in some Galaxy Note 7 samples. The missing insulation tape was a major factor that contributed to the Note 7 fires. Samsung disassembled their batteries for inspection before so this is not entirely new. What is different now is that it is enhancing the test for itself and for the supplier. 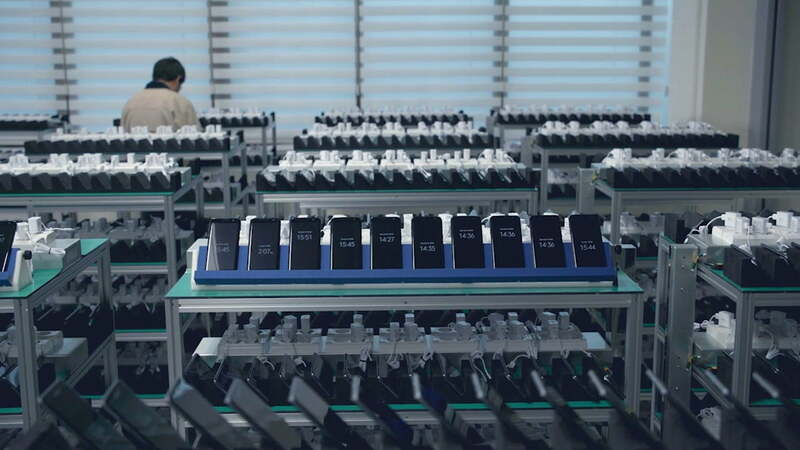 Samsung performs the disassembly test on a number of samples before it uses the batteries in the production of the devices. Samsung describes this as an intensive test simulating accelerated consumer usage scenarios. Furthermore, Samsung explained that it is able to simulate 2-week real-life usage scenarios by a typical customer, but go through those 2 weeks of use in 5 days. Very similar to the Charge/Discharge test, Samsung performs this test with the fully assembled devices. We are happy to see that the sample size is quite large at up to 100,000 devices. These accelerated tests not only simulate real life usage, but it will show any abnormalities in the cathodes and anodes. If you remember, the overheating inside the Galaxy Note 7 occurred because of an anode-to-cathode contact. The rapid Charge/Discharge test combined with the Accelerated Usage test will stress both the cathode and anode so that Samsung can catch any issues in time. This strange looking acronym stands for Delta Open Circuit Voltage. Samsung will check any changes in voltage throughout the manufacturing of the device, from components all the way to the finished assembled device. Samsung and the supplier will perform this test on each device. 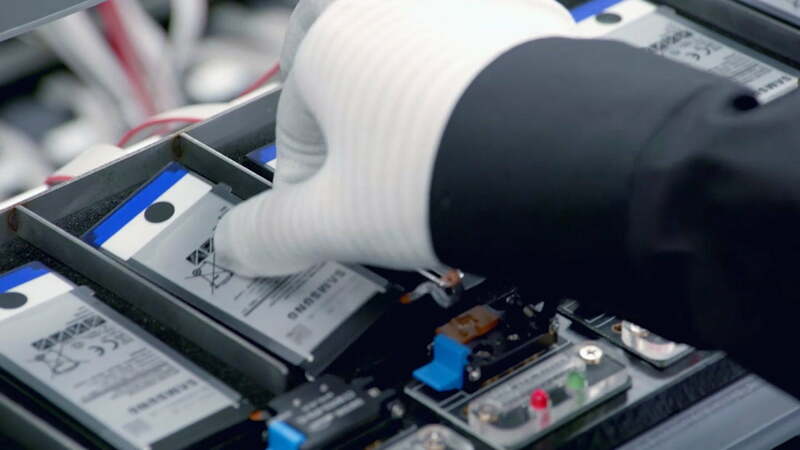 The Open Circuit Voltage test is very important, and it will allow Samsung and the supplier to monitor the voltage of a battery when it does not form a complete circuit. A voltage reading will be consistent throughout the manufacturing process, as the battery is not connected. The supplier and Samsung will flag any battery that is unable to hold its charge as a faulty battery. Samsung will conduct this test with every battery instead of choosing a number of samples.